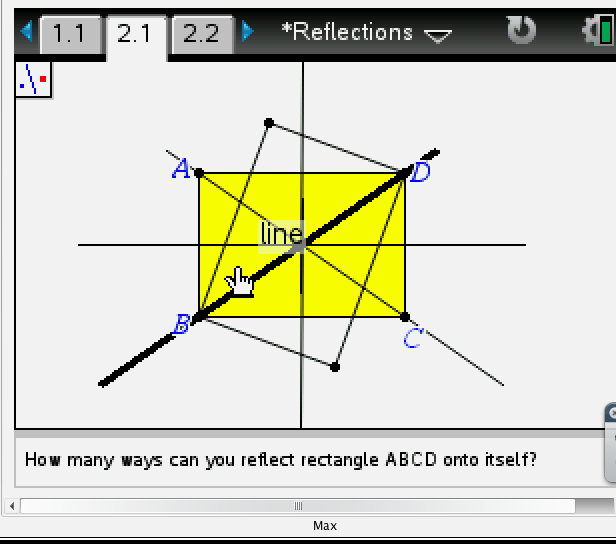 CCSS-M-G-CO.3: Given a rectangle, parallelogram, trapezoid, or regular polygon, describe the rotations and reflections that carry it onto itself. 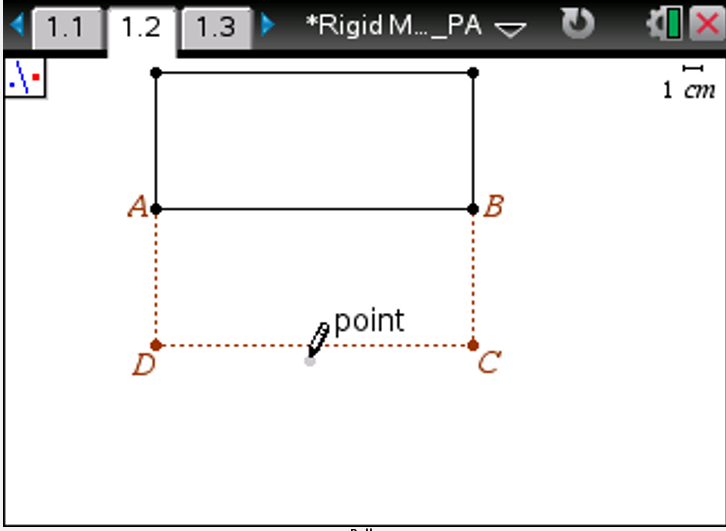 By the end of our course, we want students to be able to say, “I can map a figure onto itself using transformations”. In our lesson on Reflections, we asked about reflecting a rectangle onto itself. What do we need to do a reflection? An object and a line. 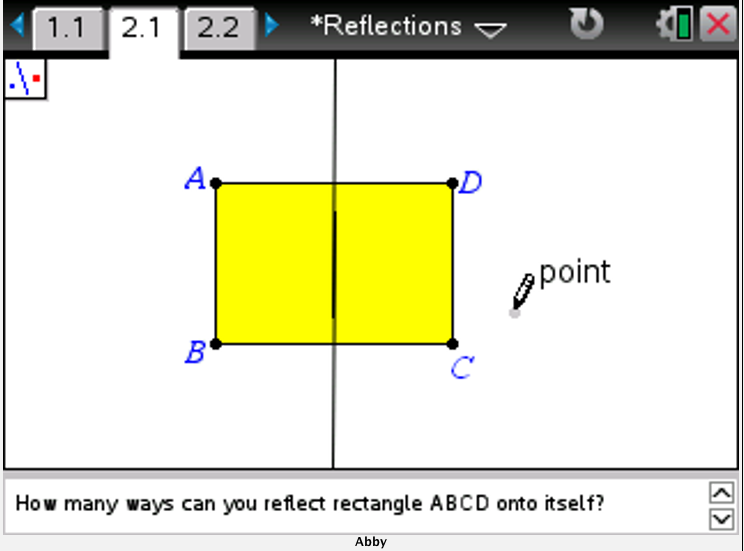 What line do we need to reflect rectangle ABCD onto itself? We talked about the difference between drawing a line and constructing a line. How many lines will work? What is the significance of the lines? Students constructed lines different ways. Some students used the midpoints of the opposite sides to create a line. 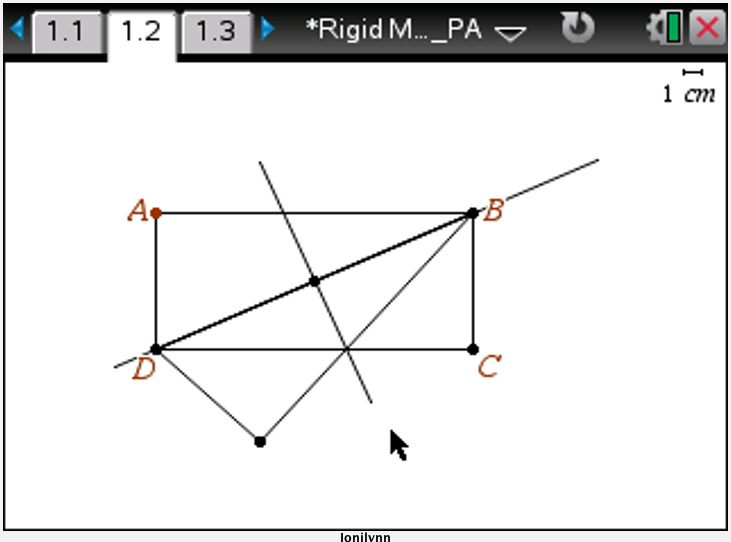 Some students constructed the perpendicular bisector of a side to create a line. We made Abby the Live Presenter. 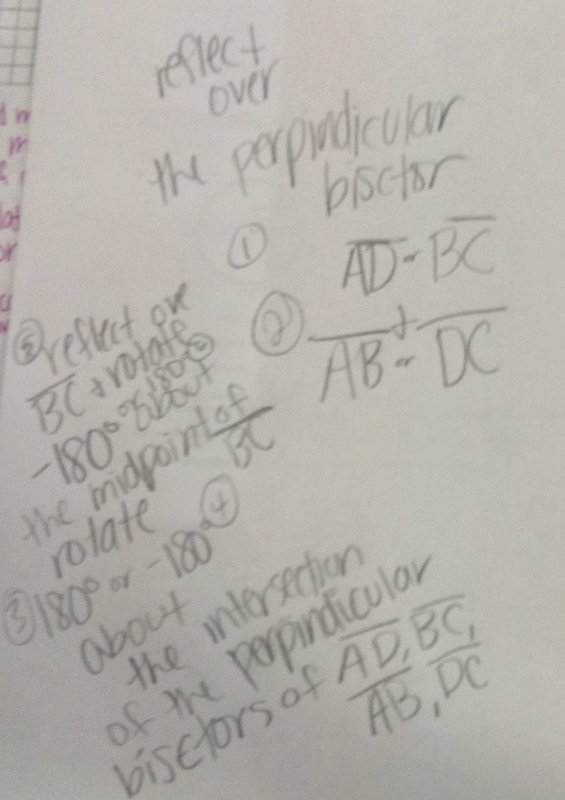 She changed the size of the rectangle to show us that using the perpendicular bisector always works. 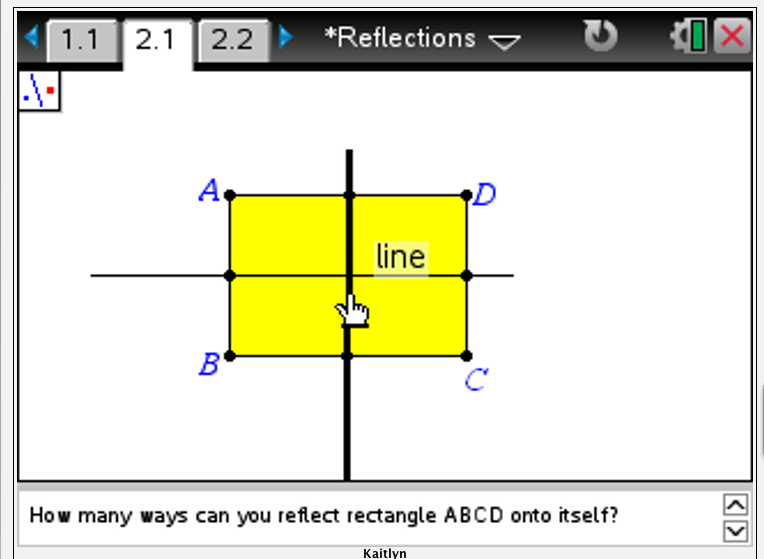 Several students thought that the diagonals of the rectangle could be the lines of reflection. We made Max the Live Presenter, and he showed us what happens when we reflect a rectangle about its diagonal. 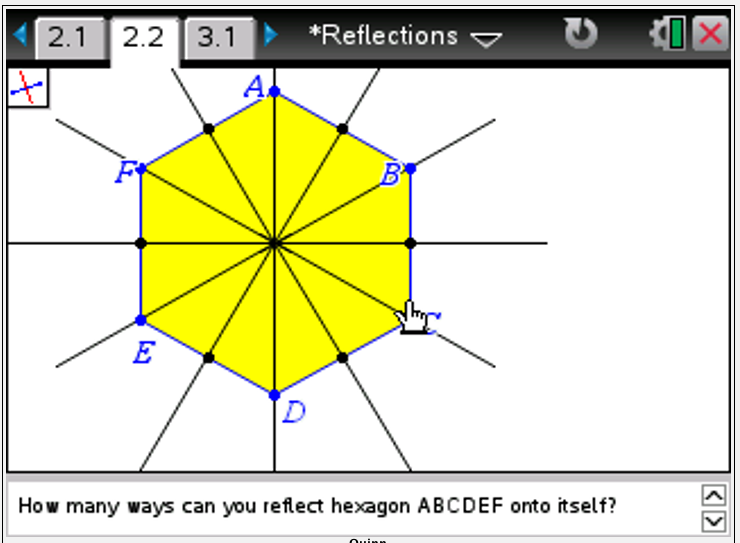 How many ways can you reflect a regular hexagon onto itself? The next day, we explored rotations. 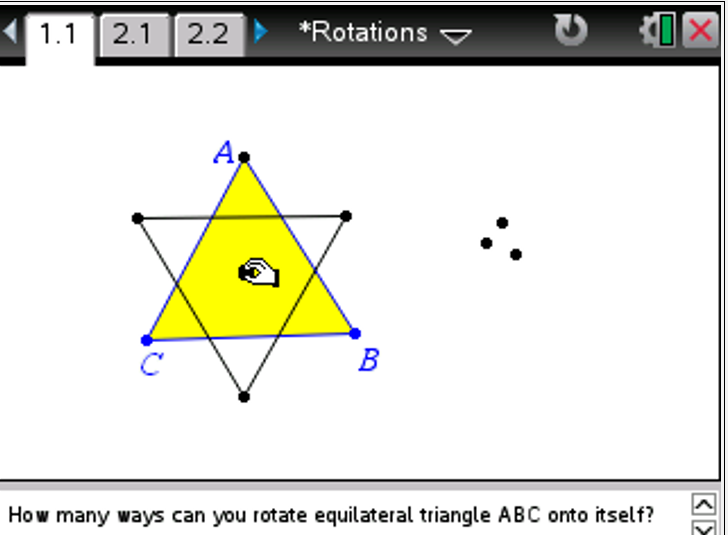 How many ways can you rotate an equilateral triangle onto itself? Where is the center of rotation? 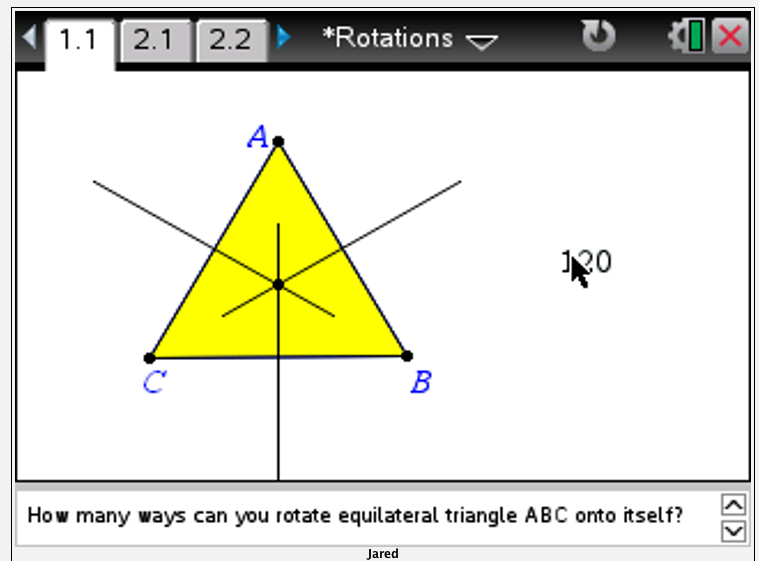 If we change the size of the equilateral triangle, does the rotation still work? 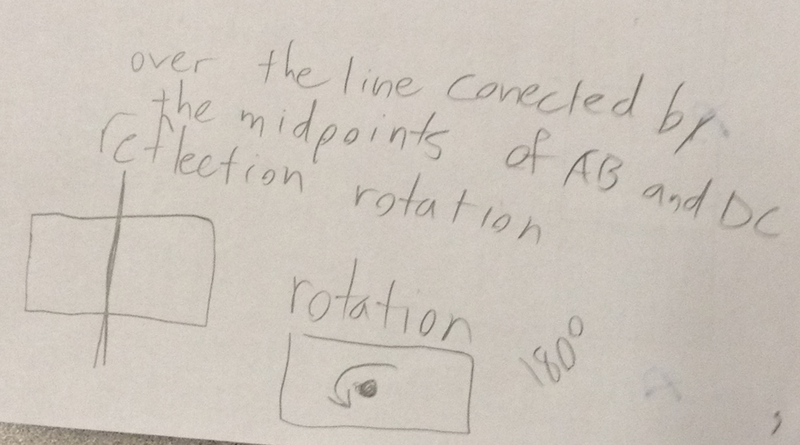 One student defined the rotation angle using three points instead of an angle measure. 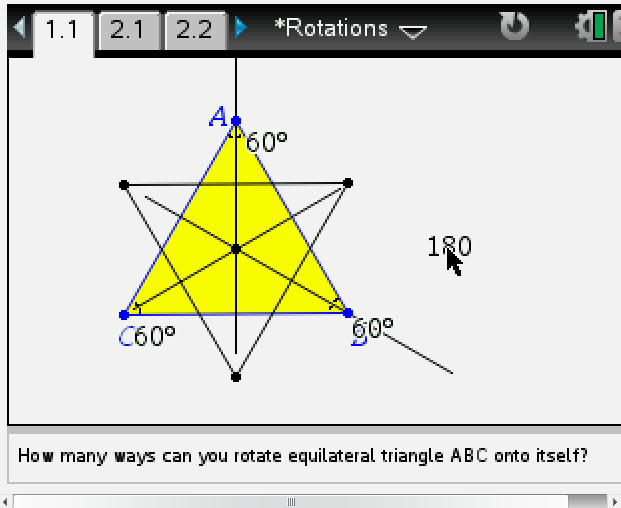 How should you arrange the points of the angle to rotate the triangle onto itself? We are now towards the end of the unit. 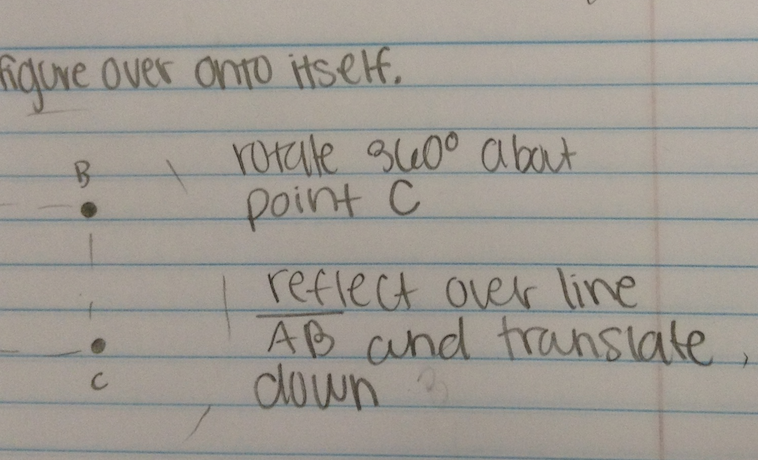 In class yesterday, I asked students to write down any two ways to transform the rectangle onto itself. After a minute, I asked them to look back at what they had written. Have you attended to precision? If you said to reflect, have you described what is the line of reflection? If you said to rotate, have you described what is the center of rotation? 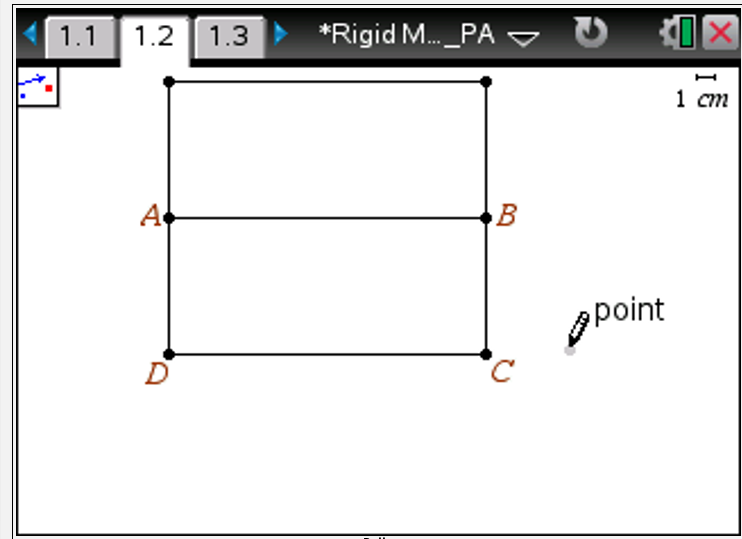 Several students rotated the rectangle 360˚ or 720˚ or -360˚ about any point on the rectangle. 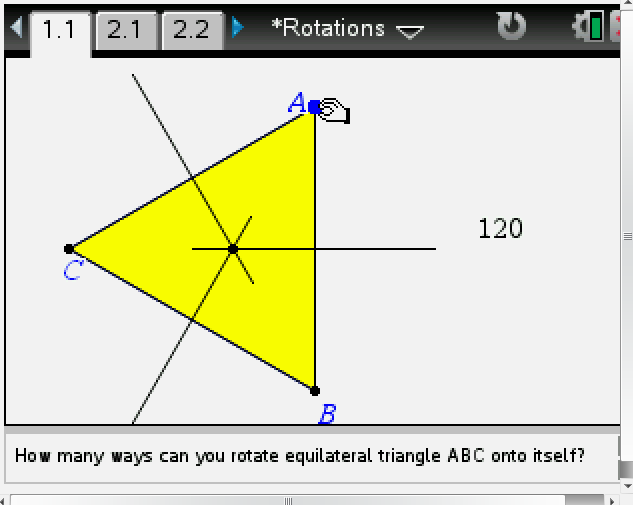 I guess it’s not completely trivial to recognize that the rotation will work about any point (and not just a vertex), but I asked them to use an angle measure that wasn’t a multiple of 360. Students revised their work and then shared with their team. One team member told another that hers was not going to work. They called me over to mediate, which reminded me again how good it is for students to have dynamic action technology in their hands. Try it and see. 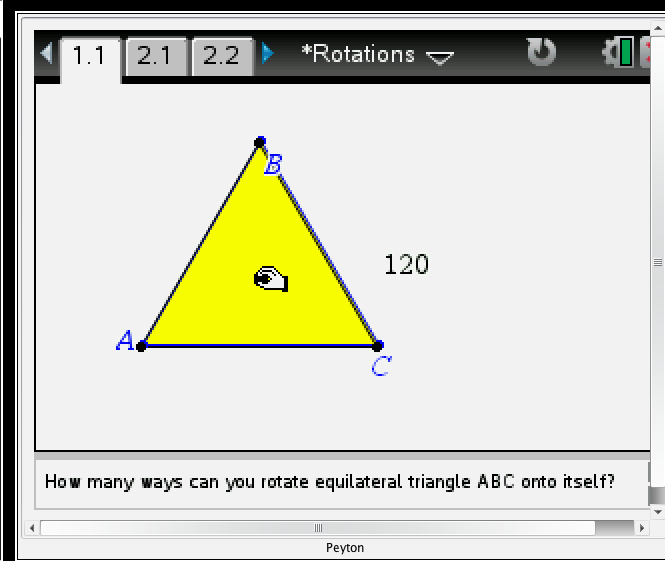 I don’t have to be the judge … students can use the technology to test their conjectures. MJ wanted to reflect the rectangle first about a diagonal and rotate about the midpoint of the diagonal. By the time we made MJ the Live Presenter, she had decided to reflect the rectangle first about a diagonal and then reflect it about the perpendicular bisector of the diagonal. As I continued to monitor students working, I saw several who used a sequence of transformations to map the rectangle onto itself. Our standard specifically says to use reflections and rotations, but I asked BB to share her work. She reflected the rectangle about one of its sides and then translated it using a vector equal to the side perpendicular to the first side. Will that always work? 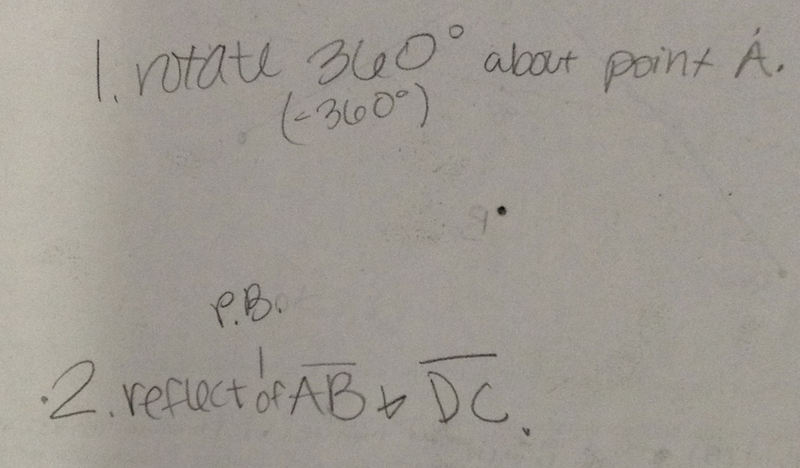 Another student found the intersection of the perpendicular bisectors of the sides and rotated the rectangle 900˚ about that point. Why does 900 work? 1: Do they get to use the terms “symmetry”, “lines of symmetry”, “symmetrical about” ? 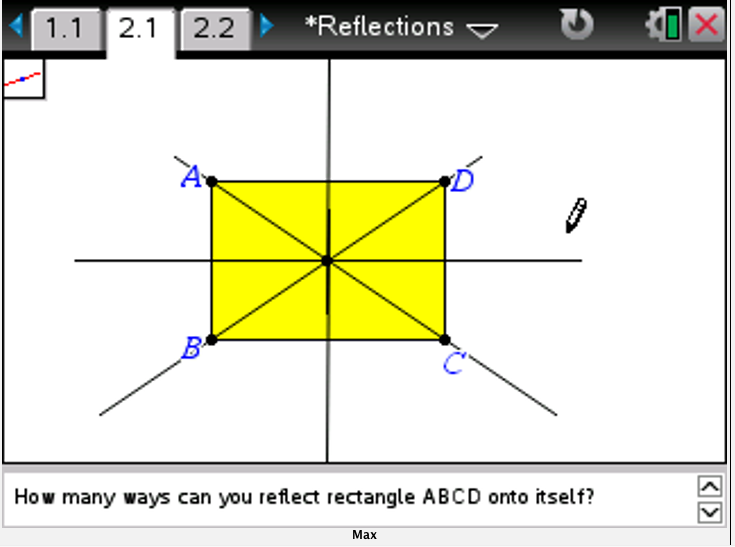 2: Will they become aware that “two reflections” is equivalent to one rotation, and that the order matters ? The reason I ask is because symmetry is a very useful attribute in algebra, and finding and arguing from symmetries is an example of “making use of structure”. 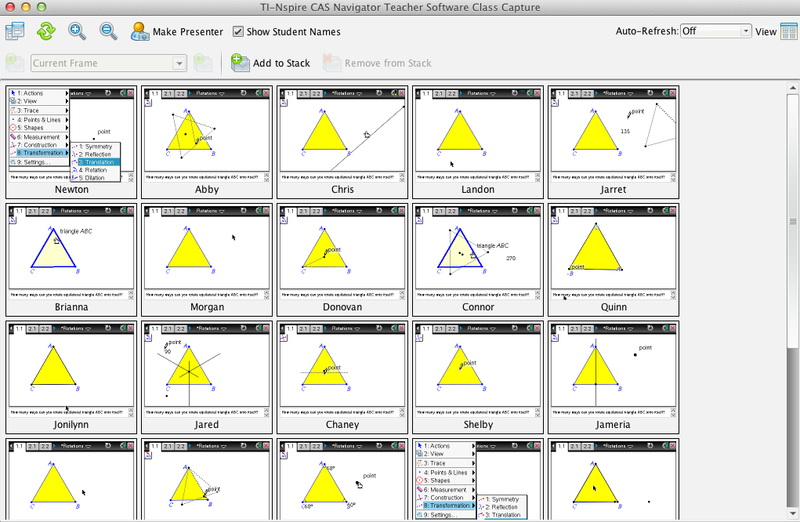 Yes…students recognize the significance of the line of reflection in terms of “symmetry”. 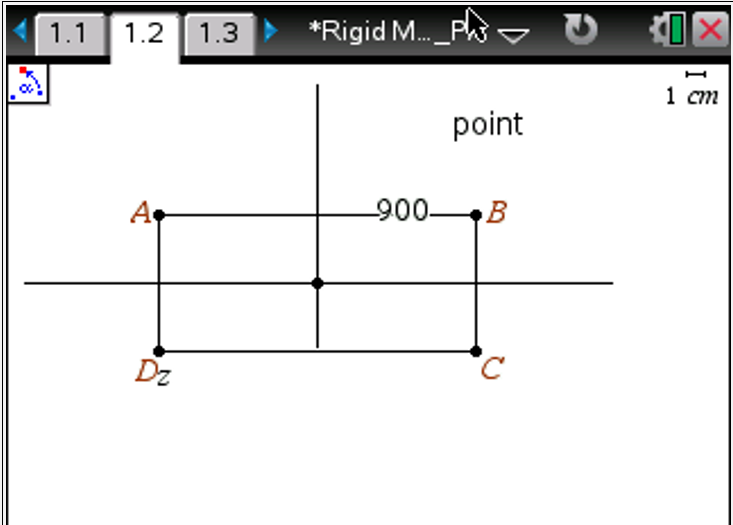 We have talked about a rotation of 180˚ about the origin as equivalent to two reflections where the order doesn’t matter, but we will have to learn more about all rotations equivalent to two reflections where the order does matter. It’s a amazing how a simple stroke of a line can lead to such a complicated geometrical structure! NWRHS is honored to have you. 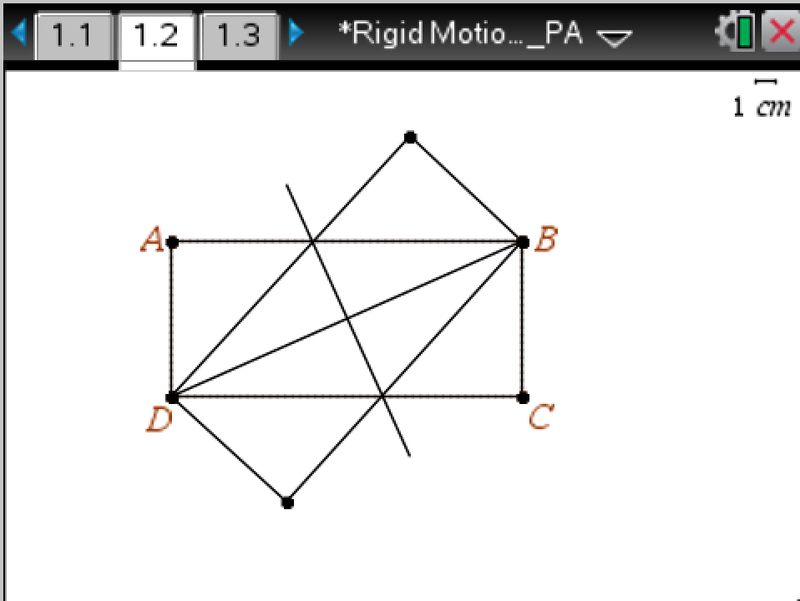 what do you do with a parallelogram?